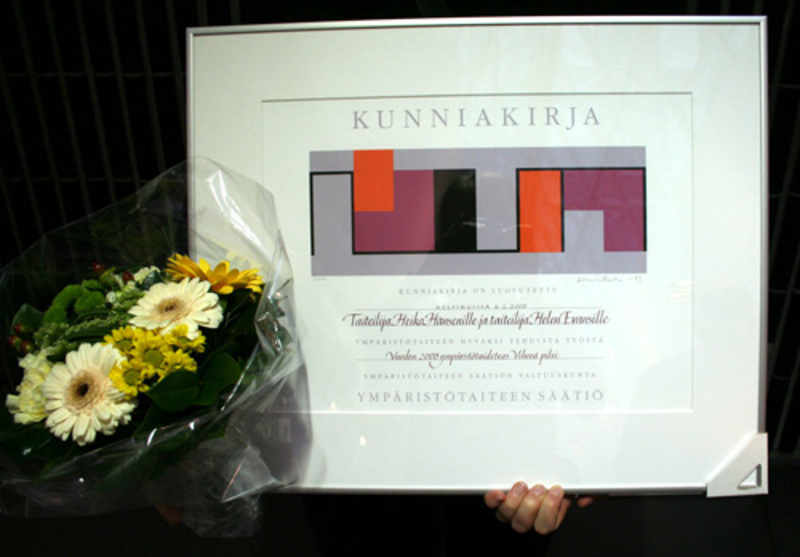 Ympäristötaiteen säätiö (Environmental Art Foundation) has chosen Nuage Vert and Maailman onnellisin puu (The World's Happiest Tree) by Kaija Papu and Aino Louhi as the environmental artworks of the year 2008. The annual award has been given out since year 1994 with the purpose to highlight new methods and concepts in environmental art, to increase general knowledge about environmental art and to support and thank the people and organisations who are developing the field. In connection with the award ceremony, Helsingin Energia announced that they will release more real-time data about energy consumption in Helsinki area. Since Friday 6 February 2009, the hourly updated information about electricity consumption, heating and cooling has been available online. Inspired by the success of Nuage Vert project, Helsingin Energia is the first energy company in Finland to release this amount of detailed real-time information. This level of information transparency about energy consumption is also rare amongst energy companies in the world today. 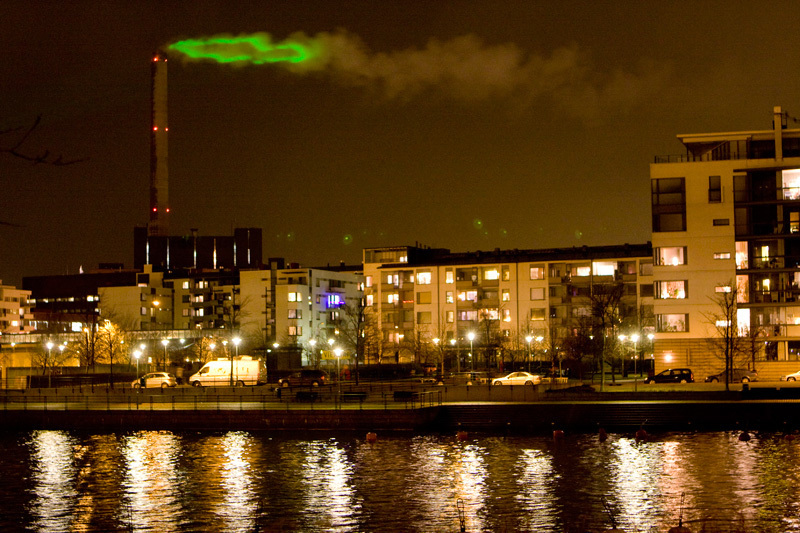 Helsingin Energia sees this as one method to spread awareness about the need to decrease energy use in near future. This is necessary for reaching the goal of providing a larger share of the total energy use by using renevable energy sources. The energy policies of the City of Helsinki aim to increase the share of renewable energy to 20% by 2020. The next edition of Pixelache festival (2-5 April 2009) will bring this topic into discussion. The goal is to find artists and designers that could propose ideas of how energy consumption data could be utilized in artworks in the public space of Helsinki or in online applications. Beyond mere information illustrations, the purpose is to try to find non-conventional ways to use this information and to explore how we could go futher from the current 'energy talk' to concrete action. Pixelache festival will also gather ideas and proposals from general audience.